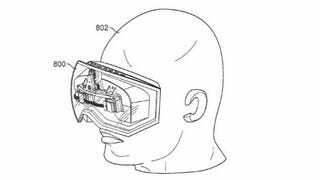 It's not exactly a secret that Apple is interested in augmented and virtual reality, as ambitious patent filings like the one above from last year would show. But where patent ideas are much more likely to die on the vine than anything else, a new Apple job listing provides more solid evidence of the company's VR ambitions. Apple is currently searching for a software engineer "to develop UI and applications to create next generation software experiences," says a recent job listing spotted by 9to5Mac. The job posting goes into some length about what Apple is interested in exploring: "This engineer will create high performance apps that integrate with Virtual Reality systems for prototyping and user testing." The listing states that AR development experience is also a must. So at least on the software side of things, Apple is beginning to make some moves investigating what it sees as the "next generation" of computing. This may all seem relatively incremental, but there is no denying that Apple's involvement in any technology brings massive amounts of legitimacy. We've already seen the effects of the iPod and iPhone and Apple Pay has already brought validity to NFC-powered payment systems and may soon bring that same sanctifying touch to the smartwatch. As is true with those products, Apple would also be late to the game in terms of virtual reality and, may even be years behind Oculus, Samsung, and Sony when it comes to debuting and releasing some new gizmo. Even Google might brings its Magic Leap experiment to the masses before we see anything from Apple.